A voter casts his ballot at Pickard Elementary School in the predominantly Latino Pilsen neighborhood. As a voting bloc whose population is gradually surpassing Chicago’s African-American community, Latinx voters could have quite the leverage in determining the city’s next mayor. The trick is they have to go out to vote. In a historic election regardless of outcome, two Black women, Cook County Board President Toni Preckwinkle and former federal prosecutor Lori Lightfoot, are competing for the executive seat in the City of Chicago, and because they are assumed to split the Black vote, their campaigns are investing time and effort to gain the Latinx majority just days before elections. The last time that Latinx Chicagoans went to the polls in strong and coordinated numbers was in 2015 when they hoped to elect the first mayor in the history of the city who looked and talked like them. When former Cook County Commissioner Jesús “Chuy” García forced Mayor Rahm Emanuel into a runoff but did not win — partly as a result of not getting the Black votes he needed — his base remained hopeful that he would come back stronger the next time. That wishful thinking dissipated when García announced he would seek out the vacancy left in D.C. by the unexpected retirement of Congressman Luis Gutiérrez. Months later, when the mayor went public that he had no intention to run for another term, not only was García knee deep into his congressional bid, but the Latinx community did not seem prepared to run another viable candidate that had the combined political trajectory and an understanding of their most urgent concerns, among them: living wage jobs, discriminatory immigration enforcement, street violence, properly funded schools, gentrification, environmental racism and rising taxes. 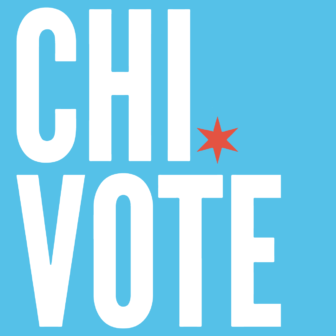 Get ready to hit the polls by visiting Chi.vote for info on where to vote, how to register, details on every runoff candidate and more! Name recognition is an important factor for Latinx voters who are traditionally less engaged in electoral politics than other groups, for many reasons including immigration status, language barrier, busy work schedules, lack of civic education, and some cynicism towards City Council. Similar to White and Black voting trends, Latinos ultimately vote along identity politics under the perception that those candidates hold similar values and will legislate in their interest. In February, Latino voter turnout was low and most Latinx-majority wards voted for the only two Latinos among the 14 mayoral candidates crowding the race, WBEZ election results show. But the enthusiasm for Illinois Comptroller Susana Mendoza, who took the most votes, followed by financial and civic figurehead Gery Chico, was not necessarily felt in the Latinx community, according to volunteers from Lightfoot’s and Preckwinkle’s teams, who credit their wins in those wards largely to the candidates’ Hispanic last names. García’s decision not to endorse Preckwinkle, who she appointed as her floor leader at the county, took many of his supporters by surprise. Key Latinos who campaigned for García in 2015 now find themselves split. It’s not that Latinx progressives see either mayoral candidate as fundamentally progressive. But as the pragmatic organizers that many of them are, they are knocking on doors for both sides and pressuring their respective candidate to take a stance on the issues. They believe they are working to push their candidates to the left while they are still malleable. “I actually think election time is one of the best times to organize because the candidates are so vulnerable and you can get them to make commitments that they otherwise wouldn’t,” said Preckwinkle’s co-chair, Tania Unzueta, who is a strategic organizer around immigration reform and dismantling the Chicago Police Department and Cook County gang databases. Latinos have a long memory, as the saying goes, and they haven’t forgotten about Preckwinkle’s “soda tax” that hurt small businesses or the fact that she did not endorse García four years ago. A few weeks ago they brought up these two issues in a 22nd Ward Independent Political Organization meeting in Little Village. Like Gutiérrez, Preckwinkle reminded folks that the reason she didn’t endorse García was because she had already given her word to the mayor. Preckwinkle is loyal to her party — to a fault, critics say. As the chair of the Cook County Democratic Party, they consider her a machine Democrat because she has existing financial ties to veteran Ald. Ed Burke, who’s under FBI investigation for attempted extortion, and ousted Cook County Assessor Joe Berrios, who was responsible for overburdening homeowners on their property taxes. Jose Torrez, a City Colleges counselor and a resident in the 14th Ward, was the first of three candidates to run against Burke. Though unsuccessful, he’s determined to support an “independent coalition builder that breaks glass ceilings” and stands against Burke, he said about Lightfoot. 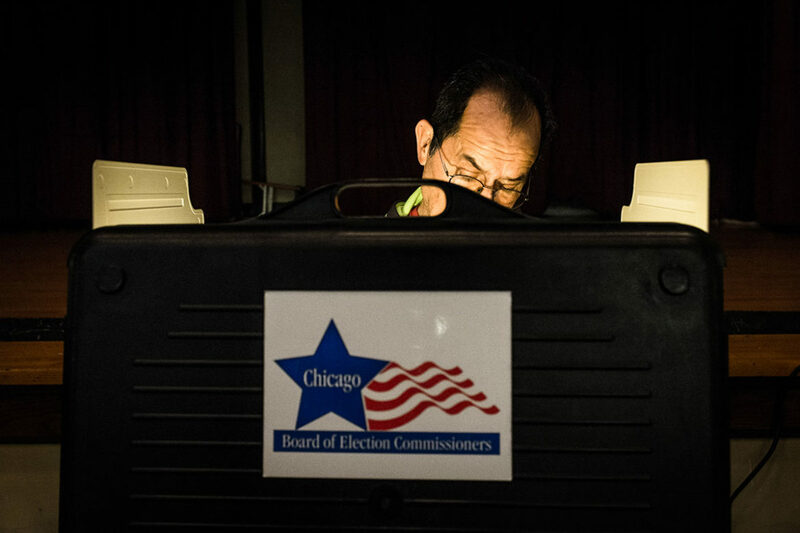 “This is about reminding Latinx voters that the machine, people like Daley, Rahm, Burke, and the Hispanic Democratic Organization are trying to come back, and this is one strong opportunity to cut off all the strings,” Torrez said. Preckwinkle has not received big name endorsements from Latinos, per se, but she counts on the support of the Chicago Teachers Union, democratic socialist Ald. Carlos Ramirez-Rosa, Rudy Lozano Jr., Ald. Roberto Maldonado, County Commissioner Luis Arroyo Jr., and State Rep. Delia Ramirez, among other Latinx legislators. To leave a dent in this historic mayoral runoff, Latinos need to head to the voting booth in much larger proportions on Tuesday, lest they wait for the next “Chuy” to come along. Lightfoot has not only been endorsed by García, Mendoza and Chico, she has also secured the support of former State Sen. Miguel Del Valle, Ald. Gilbert Villegas, chairman of the City Council’s Latino Caucus, as well as the increasingly influential Latino Leadership Council, a PAC that financed Tanya Patiño’s bid in Burke’s ward. Of these Latinx endorsers, Lightfoot has a past working relationship with Villegas, she told the Reporter. Villegas and the Latino Caucus are asking the next mayor to make Latino hiring in municipal leadership positions a priority after an internal survey found that only 2 percent of decision-making roles went to Latinos. At the county level, only 4 out of 33 department heads are Latinx, according to a recent analysis by WBEZ, which some elected officials hold against Preckwinkle. To her credit, last year she nominated García mentee and alderman-elect Michael Rodriguez (22nd) to executive vice chair of the Cook County Democratic Party. Systematically though, Latinos are severely underrepresented in all levels of government. Lightfoot opened campaign offices in Pilsen and Brighton Park, recruited millenials of color, and she is walking the neighborhoods, Torrez said, adding that Preckwinkle does not have a base in those communities and is thereby not showing an investment in them. The elephant in the room among young voters, activists and progressive organizers is Lightfoot’s police-friendly background as prosecutor who acted in their defense. Former Mayor Richard M. Daley first appointed her to oversee police accountability within the department and then Emanuel picked her to head both the police board and the Police Accountability Task Force. In a city fraught with cases of police misconduct, the taskforce released a report, under Lightfoot, of recommendations that the Justice Department later echoed in a separate report. Activists have temporarily disrupted forums and appearances by Lightfoot due to what they see as her lax judgment of police who abuse their power, where they’ve been removed by security. Lightfoot said she has a good relationship with the brother of Rekia Boyd, the woman who was shot by an off-duty officer in Douglas Park but was allowed to resign, stressing that the case had “a long life” before she was ever involved. Lightfoot, too, is accepting problematic monies from Emanuel-allied and corporate funders, activists say. It could be argued that both candidates are establishment candidates, to the degree that it makes it difficult to compare this race to the first Black mayor of Chicago, Harold Washington. He launched his campaign in the 80s with an unapologetic neighborhoods-first approach that challenged the all-White patronage machine of the time and adopted existing multiracial coalitions that were not institutional, but grassroots. Both women do have many things in common beyond their gender and race. The candidates support an elected representative school board, building affordable housing across the city (though Lightfoot is against rent control), repurposing shuttered schools, raising the minimum wage to $15 or more and eliminating carve-outs in the sanctuary city ordinance. What appears to distinguish the current candidates from one another the most is their approach to public safety, with Preckwinkle coming off as a restorative justice proponent and taking hard stances on issues like the gang database, police in schools, and a new cop academy, and Lightfoot cementing herself as a law and order reformer who will get things done. As of this publication, Lightfoot is leading the polls. To leave a dent in this historic mayoral runoff, Latinos need to head to the voting booth in much larger proportions on Tuesday, lest they wait for the next “Chuy” to come along. They can’t afford to wait. 17th Ward alderman David Moore, fresh off an election win in February backed by progressive coalitions, talks about his victory, the mayoral race and issues facing the city — including the budget.